How about seeing a pond or lake with full of beautiful flowers? Probably such a sight will leave you breathless. That’s the magic of aquatic flowers. They can instantly make you happy. Here the list of 7 most beautiful aquatic flowers in the world. Water poppy is a floating aquatic plant that native to South America. This plant is known for its round shaped, dark-green leaves and beautiful lemon-yellow flowers with red-brown centers. Thus, water poppy can be a great addition to your water garden. Water poppy easily grows on shallow ponds with calm waters. It needs full sunshine. On water surface, this plant spread across 18 inches and rise up to 6 inches in height. This plant produces beautiful lemon-yellow flowers in summer. The flowers last only for a day. But water poppies bloom repeatedly throughout the summer. It is an aquatic perennial plant that has distinctive, broad arrowhead-shaped leaves. It produce attractive white flowers, can be found three or more flowers arranged around a stem (whorled arrangement). 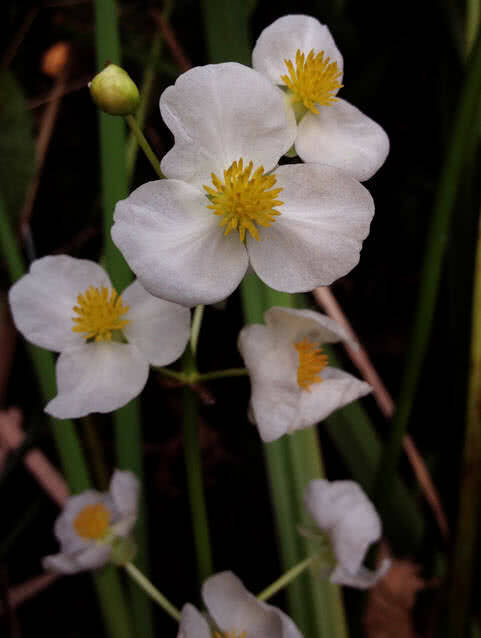 The arrowhead plants grow well in streams, shallow waters and swamps. This plant is also known as duck-potato. On the water surface, broadleaf arrowheads have a height of 2-4 feet. It grows in colonies and need partial shade. The beautiful white flowers will open between July and September. Both male and female flowers found on the same stem. Unlike female flowers, the male flowers have a group of attractive yellow stamens in the center. 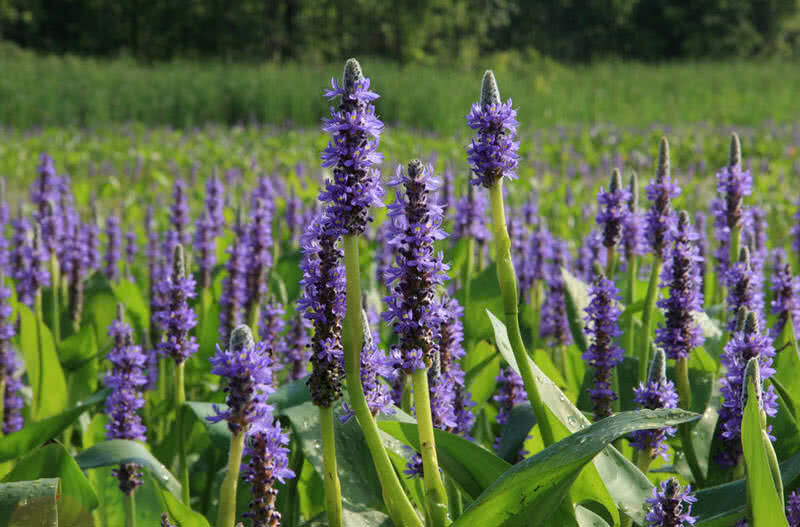 Pickerel weed is a deciduous, perennial, aquatic plant that native to Americas. It commonly found in streams, ponds and Marshes of Ontario, Nova Scotia, Southern Florida, Missouri and Oklahoma. Pickerel weeds have long, shiny heart-shaped leaves and it produce tiny, tubular blue flowers on spikes. The pickerel weed plants typically rise 1-2 feet above the water. Their shiny, green, heart-shaped leaves grow up to a length of 10 inches. The showy, blue flowers open between June and October. On blooming, this plan not only adds a special beauty to your water garden but also attracts beautiful butterflies. 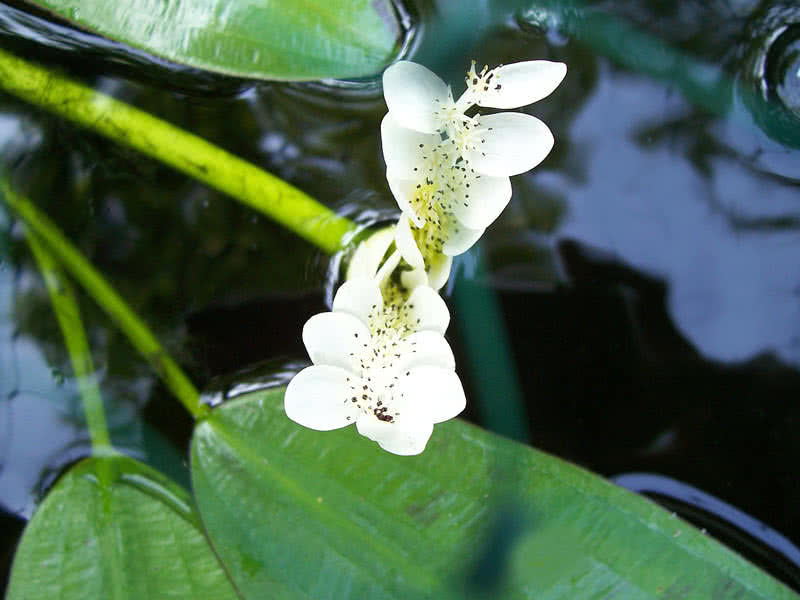 It is an attractive aquatic plant that produce pleasant smelling, tiny white flowers. In addition to the attractive flowers, water hawthorns have long, narrow, floating leaves. Unquestionably, it is one of best plans to grow in your water garden. This beautiful plant is also used as an aquarium plant. Water hawthorn has a height up to 10 cm and can cover 2-3 feet across on the surface of the water. 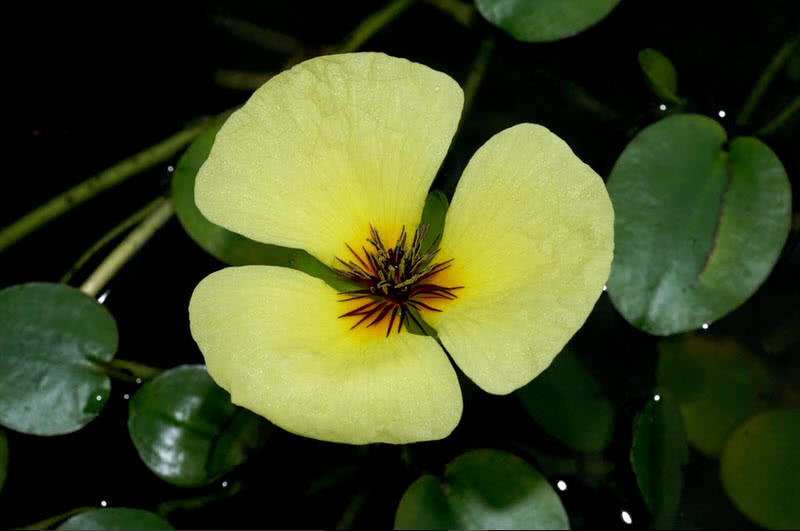 This aquatic plant bloom twice a year, from mid-spring to mid-summer and flowers again open in winter. 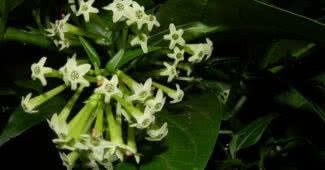 On blooming, the attractive white flowers produce pleasant, vanilla like fragrance. 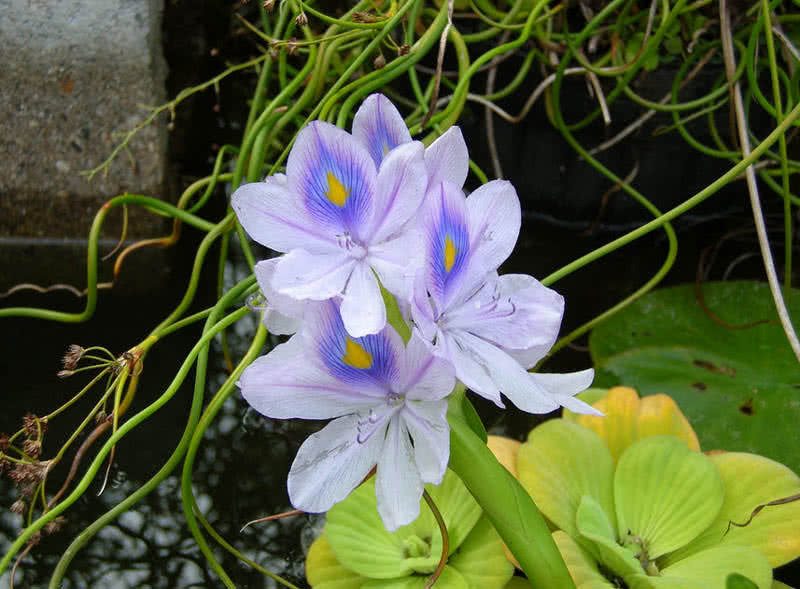 The water hyacinth is a beautiful floating perennial plant that native to tropical South America. This plant grows well in ponds, streams, lakes and ditches. Water hyacinths are famous for their thick, glossy, rounded leaves and striking blue to violet flowers. Water hyacinths typically rises up to 1 meters above water surface. Their leaves grows 4-8 inches across. The stalk of water hyacinth plant is long and spongy. It blooms summer through fall, produce spikes of attractive blue to violet flowers with 6 petals. Lotus is a popular and one of most beautiful bloomers in water gardens. It is a sacred flower for Buddhist. Lotuses grow in shallow ponds and lakes. Lotuses can’t live in cold climate since they need direct Sunlight. 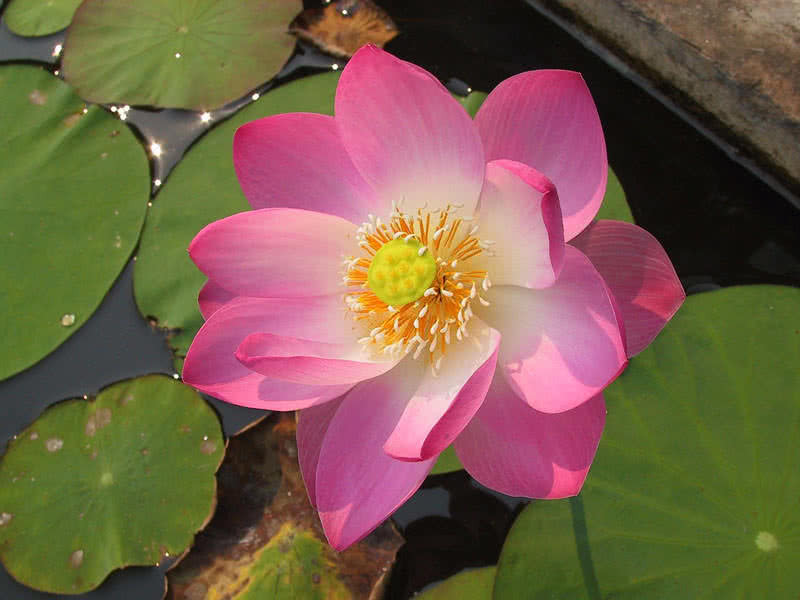 Lotuses generally come in pink or white colors. Like water lilies, the lotuses are rooted in the mud of pond or lake it lives and flower and leaves float in the water. The leaves of a lotus have a length up to 20 inches and flower can reach 8 inches in diameter. June to mid-August is the blooming period of lotuses. The attractive flower opens in the morning and closes in the evening. The eye-pleasing lotuses also produce pleasant fruity fragrance. The showy water lily is probably the most beautiful aquatic flower in the world. This amazing flower comes in different types and colors. 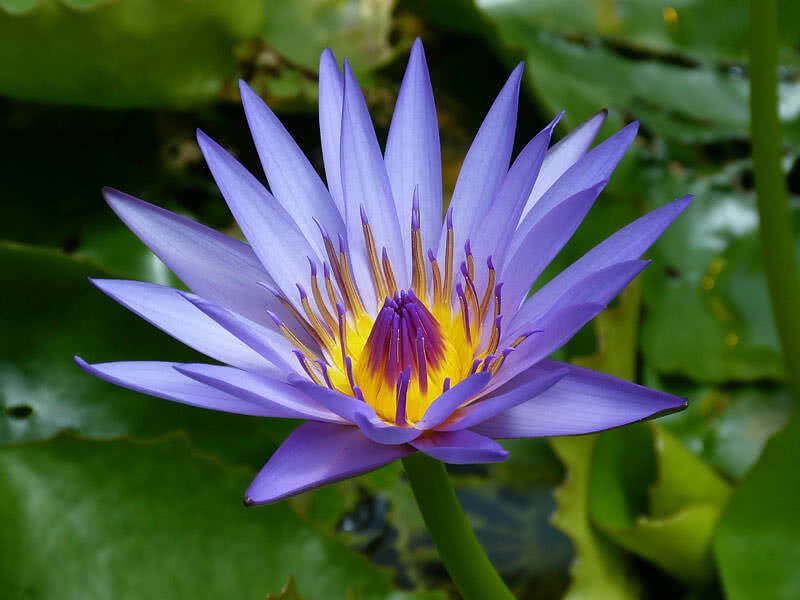 There are 70 different species of water lilies in the world. Water lilies grow in ponds, ditches and other shallow water bodies across tropical and temperate regions across the world. Water lilies are famous for their broad, round shaped leaves and colorful flowers. The water lilies are rooted in the soil of the body of water they grow. The long underwater stem of water lilies attaches with their floating flowers and large leaves. They come in the variety of colors including white, red, yellow pink, peach, blue, purple and orange. The victoria amazonica or giant water lily that native to Amazon river basin is the largest of all species of water lilies in the world. Their perfect rounded leaves measure 4-6 feet in diameter and flowers contain 50-60 petals. Water lilies bloom from spring to late fall. The showy, fragrant flowers of water lilies open only in a morning or late evening. This eye-pleasing aquatic plant also protect the pond or any other body of water they inhabit by providing shelter to many species of fishes and invertebrates.